IC 5148 is a beautiful planetary nebula located some 3000 light-years away in the constellation of Grus (The Crane). This amazing space wallpaper reveals IC 5148, which is a beautiful planetary nebula located some 3000 light-years away in the constellation of Grus (The Crane). The nebula has a diameter of a couple of light-years, and it is still growing at over 50 kilometres per second — one of the fastest expanding planetary nebulae known. The term “planetary nebula” arose in the 19th century, when the first observations of such objects — through the small telescopes available at the time — looked somewhat like giant planets. 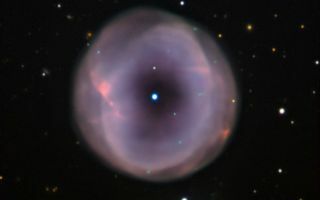 However, the true nature of planetary nebulae is quite different.